Many dieters and bodybuilders avoid fruit like plague, especially when cutting. The high fructose content combined with fluid retention can lead to weight gain. So, does fruit make you fat? Well, it depends a lot on how full your glycogen stores are. Your total calorie intake for the day and meal timing need to be considered too. It’s the timing of fruit consumption that matters. Let’s find out the truth about fruit in relation to bodybuilding and fat loss! Have you ever wondered what do candies and grapes have in common? A ton of sugar! While it’s true that fruit contains fructose, not table sugar, this doesn’t mean it’s good for your health. Fructose, the simple sugar in fruits, can slow your cutting phase. This natural compound is metabolized differently than the sugars from starches. However, if your liver glycogen stores are already full when you eat fruit, the excess fructose will be stored as fat. Too much sugar, regardless of where it comes from, will be stored as adipose tissue (body fat). The problem with fruit is that it contains fructose as its main carb source. Carbs not only hold water, but are also stored as fat if liver glycogen is full. Muscles only have enough enzymes to convert glucose into glycogen, not fructose. If blood glucose levels are low, the liver uses glucose (or fructose) for energy. That’s why it’s recommended to eat simple sugars post workout when your body utilizes carbs so efficiently. But if there’s not enough need for energy, glucose is converted into glycogen and stored in your muscles or liver. The muscles can hold 200 to 400 grams of glycogen, while the liver may store about 100 grams. When glycogen stores are saturated, the enzymes responsible for glucose metabolism cause your body to convert excess fructose into fatty acids and store it as adipose tissue. Although fruit contains low levels of fructose compared to sodas and sweetened drinks, it can still lead to weight gain when consumed in excess. In other words, eating fruit every day is not good idea. What’s the Best Time to Eat Fruit? Timing is everything when eating fruits. To prevent weight gain, do it in the morning or post workout. Personally, I don’t recommend eating fruit in the morning for several reasons. I wrote about this here: Want to Lose Fat? Skip Carbs at Breakfast! Eating carbs earlier in the day will have a negative impact on both fat burning and muscle building. Not only it lowers your growth hormone levels, but increases blood sugar levels and leads to weight gain. So, the best time to eat fruit is immediately after working out. This is when your body needs a quick source of energy to replenish glycogen stores and recover from intense training. Fruits are also great when bulking up. Studies indicate that eating simple sugars post workout along with a protein source 20 minutes later can increase protein synthesis by as much as 300%. What about those who don’t work out? Well, if you have a sedentary lifestyle, eat fruit in the first part of the day. An apple a day between meals won’t do any harm. Mix fruits with protein to keep your insulin levels steady. Determine your daily calorie intake day and count fruits and veggies in. Keep in mind that calories are still calories, regardless of where they come from. #1 Fruit consists of water, fiber, fructose, and micronutrients (vitamins and minerals). The exception is avocado, which also contains heart-healthy fats. Vegetables are made up of protein, simple and complex carbs, essential fatty acids, water, and fiber, but have fewer calories. For example, a medium pear has 96 calories, 0.6 grams of protein, zero fat, and 25.7 carbohydrates, from which 5.1 grams are fiber. It has no calcium. The same amount of broccoli (two cups) contains approximately 62 calories, 5 grams of protein, 12 grams of carbs, 4.8 grams of fiber, 83 mg of calcium, and 0.6 grams of fat. Now do the math! Broccoli has a greater nutritional value than apples or pears, and contains fewer calories and sugar. #2 Most people prefer fruits because of their sweet taste. As a result, they end up overeating them. How many times have you heard that fruits can successfully replace sweets and desserts? Switching from table sugar to fruits is better for your overall health, but it can still cause weight gain, insulin resistance and other problems. #3 If you want to build muscle and lose fat, you need more protein in your diet. The sugar in fruit won’t help. #4 Veggies are more filling than fruit. You have to eat three cups of broccoli to get the same amount of calories in an apple or pear. I doubt that you’ll feel full after eating a single apple. 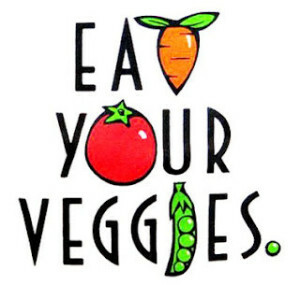 #5 Vegetables are far more nutritious than fruits. I’m not saying that fruits aren’t good for you. They definitely have their place. The key is to eat them in moderation at the right times. 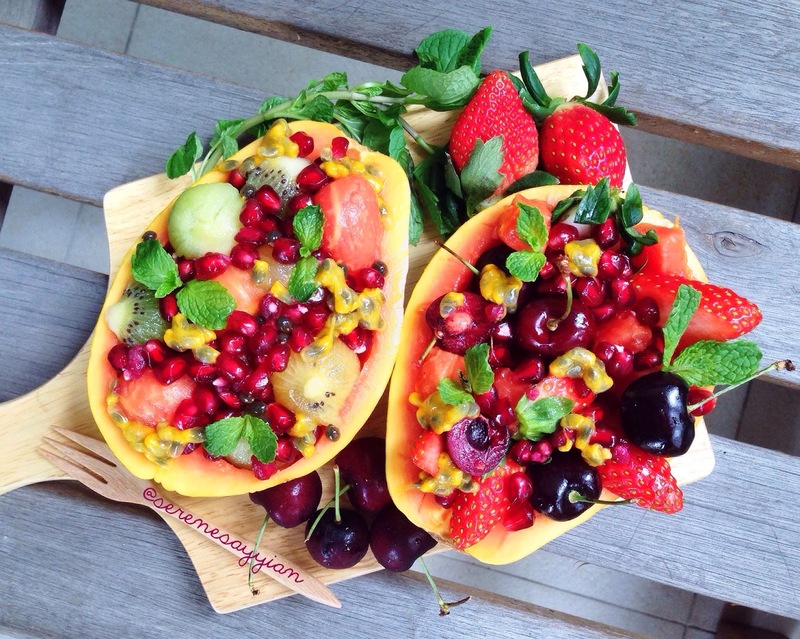 Choose fruits that are low in sugar, such as berries, avocado, lemon, lime, and apples. 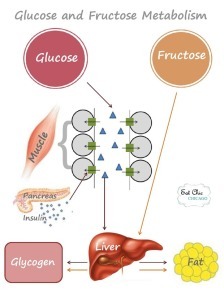 Shafrir E. Fructose/sucrose metabolism, its physiological and pathological implications. Sugars and Sweeteners, Kretchmer N and Hollenbeck CB, Eds. CRC Press, 1991 pp. 63-98. I recently replaced the traditional breakfast of sausage, eggs, grits, or pancakes with smoothies. I’m trying to get the right mix of fruits and vegetables to use in my smoothie. Some vegetables don’t agree with me such as kale but spinach and carrots are fine. Thanks for the insight.